Congratulations to our teams and individuals with our 2018 Southeast District Horse Bowl event! Top 6 scores or the top 7 including ties. 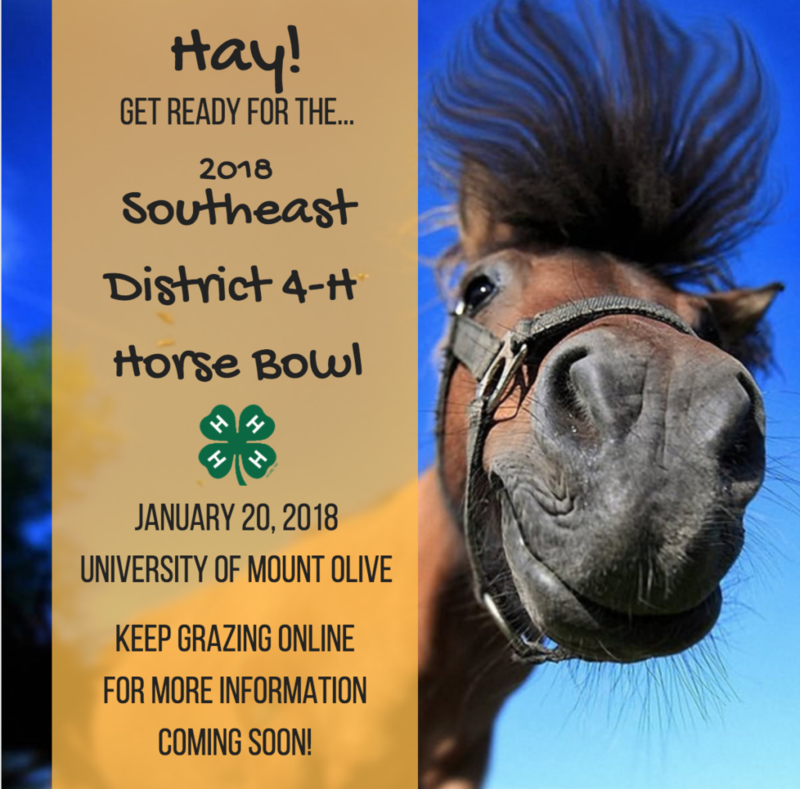 We are excited to announce that the 2018 4-H Horse Bowl will be at Mount Olive University again on January 20, 2018! The weekend following is a backup snow date. We will be putting out registration information as it comes out, but please mark your calendars for this event and go ahead and get started on those questions!